Governor Deval Patrick is referred to by this crowd and others as Mini-Me, undoubtedly because of his appearance. It would not be surprising to learn that Obama also refers to him by that name, but for a different reason, unconditional obedience. Whatever Barack wants, Deval delivers. If he needs a place to warehouse a few hundred illegals, Devalâ€™s got his back. Patrick was noticeably absent from the gathering of concerned citizens in front of the Massachusetts State House, but you can bet he knows what went on. A group of citizens led by radio personality Jeff Kuhner left no doubt of their dissatisfaction with the sanctuary state policies and their leadership catering to illegal aliens over the objections of citizens. He follows the generous applause to those comments by saying, â€œOur answer on illegal immigration is simple, send them home.â€ A chant of â€œsend them homeâ€ breaks out in the crowd. This is the kind of action that is going to be required to corral the self-serving politicians who are either misguided, donâ€™t care about our country or have evil intentions. TheÂ people have to demand the return of our government. The criminals aren’t going to offer. YIKES! 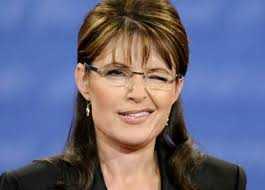 Sarah Palin Makes Joke About Looters, Liberals Lose Their Minds!